Many think they know, but the comfort of their preconceptions blinds them to the complexity of sophisticated storytelling. For thousands and thousands of years, many believed the Earth to be the center of the Universe. A lie mutually agreed upon is still a lie. Earlier this year the distinction was made between the Main Character and the Protagonist. It was met with varying degrees of interest and ridicule, the latter coming as a result of perhaps a failure to adequately describe the intricacies of a story that doesn’t assume both are one and the same. There can be no argument that the commonly accepted definition of the Protagonist is “who the story is about.” Whether or not this understanding is beneficial for writers hoping to create something of import is quite another. Once a writer understands the difference between Main Character and Protagonist, whole worlds of possible storylines open up to them. Why should a writer be confined to stories where the character the audience identifies most with is also one the leading the charge? Aren’t there aspects of life where we aren’t guiding the boat, where we aren’t the ones in control? Don’t those moments have meaning as well? It would be great to tell a story about an innocent man trying to escape jail…from the perspective of another inmate who lost hope a long time ago. Wait, that’s already been done—in The Shawshank Redemption. Or what about a story where a writer in East Germany tries to broadcast the plight of his people…from the perspective of the man forced to spy on him. Shoot, they did that one already with The Lives of Others (Des Leben der Anderen). Well then, what about the story of a corporate litigator trying to maintain her company’s globally friendly reputation…from the perspective of the man held responsible for keeping that company’s nefarious backroom dealings a secret. Too late. Tony Gilroy already did it with his masterful film, Michael Clayton. The difference between the two is simple: The Main Character represents the audience’s eyes into the story, the Protagonist pursues the goal of the story. Sometimes they are played by the same character, as with Luke Skywalker in Star Wars or Clarice Starling in The Silence of the Lambs. Sometimes they are not, as with the examples above of Red in Shawshank and Wiesler in The Lives of Others. They key is in understanding that the assignment of the Protagonist comes as a result of a logical assessment, not an emotional one, as is the case with the Main Character. Thus, the Main Character is not always the key focus of a story. Shawshank is about Andy Dufresne and his unjust imprisonment, yet we experience the film through Red’s eyes. Amadeus is about Wolfgang Amadeus Mozart, yet we see his wild antics through poor mediocre Salieri. A character may be the subject matter of a piece without also being the one we receive intimate personal insight into. 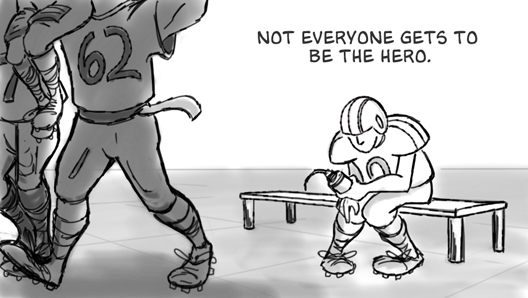 Empathy dictates Main Character, not sympathy. The Protagonist is not always the one who changes in the story. Clarice doesn’t change. Salieri doesn’t. Jake Gittes in Chinatown doesn’t, yet each one of these characters is driven to solve their story’s individual problems - the key definition of a story’s Protagonist. Clarice endeavors to stop Buffalo Bill. Salieri wants to be remembered. And Jake leads the investigation to figure out what really happened all those years ago. It is apparent that there too are big problems happening in Michael Clayton and that there are efforts being made to resolve them. But what isn’t as straightforward is what the outcome of it all means. Discovering that requires a closer look at the meaning behind the ending of the film. Without a doubt, Michael Clayton has a bittersweet ending. Even though the good guys have won, there is no Throne Room sequence like there is in Star Wars and there aren’t fighter pilots jumping up and down with glee like there are in Top Gun. This victory is much more personal. And it isn’t the kind of bittersweet ending one finds in films like Silence of the Lambs or Chinatown. In contrast to Clarice or Jake, Michael is in a much better place at the end of his story. He has resolved his issues with his family, grown closer to his estranged brothers, and, going on, one can imagine Michael will improve his superficial relationship with his son. That masterfully acted scene in the cab is proof of this emotional state of peace—it ends with a slight smile on his face, recognition that he has come through the other side a better man. For a story to have that bittersweet ending there needs to be a juxtaposition between the Main Character’s emotional state at the end of the film and the outcome of the headline, or main story line. That’s the very definition of bitter and sweet. In the case of Silence or Chinatown, both Main Characters are left with unresolved feelings, yet their respective cases have been solved. Jake still doesn’t get it and Clarice still hears crying lambs. Michael Clayton has and therefore requires that the main story line must end in failure. Who in Michael Clayton is most driven to get what they want? Who is driven to pursue this goal at any cost, regardless of who must be disposed of in order to accomplish it? From a purely objective context, which is where a writer must sit during the construction of a story’s structure, the character who is driven to Pursue the Goal is the Protagonist. This motivation to pursue must be present within every act otherwise the story will breakdown (as was the case in Zombieland). If that motivation wanes or “dies” somehow, then the story will slow down and meander aimlessly. Michael Clayton does not suffer from this problem. That is why Arthur cannot be the Protagonist and why, by proxy, Michael himself can’t foot the bill once his best friend finds greener pastures. Michael could care less about uNorth until 3/4 of the way through when they finally take a shot at his life. Arthur? Sure Arthur would like to take them down, but he is more like the fly in the ointment rather than the one actively pursuing a clear goal from the very beginning. In this respect, he is acting more like the Antagonist, trying to prevent a negative goal from happening. It is Karen who is driving the story towards the goal of having uNorth escape this lawsuit unscathed. As an audience we may find this act reprehensible, but objectively—without preconceptions of right or wrong—it becomes clear that this is what is truly going on. This construct is what makes Michael Clayton seem so complex and why it feels more sophisticated than most of the typical Hollywood blockbusters. There are no cats to save in this film. While the Goal of the story is purely an objective concept, the Author’s own preconceived notions about what is right or wrong often find their way into it. This is why, for the most the part, the difference between Protagonist and Antagonist lies within who is the “good guy” and who is the “bad guy.” When this isn’t the case, and the Author constructs a story where the bad guy is leading the charge to resolve the story’s problem, the story is said to have a Negative Goal. A Negative Goal is one many in the audience might find detestable or immoral. In Reservoir Dogs, the bad guys— Mr. White (Harvey Keitel) et. al.—work to escape from their bungled jewelry heist while simultaneously trying to identify who “the rat” is. While outside of the world of the story it may be difficult to side with vicious jewelry thieves with an affinity for ear removal, the problems that Quentin Tarantino constructed for these characters placed these crooks at the head of the charge to resolve them. They become sympathetic as we naturally root for those attempting to conquer inequity. As mentioned before in the article Determining Your Protagonist’s Goal, the key word here is Pro-tagonist. This character is for something, this character is working towards solving the problem at hand. And because stories are about solving problems, it only makes sense that audiences would typically cheer for someone working diligently to solve that problem. From the very beginning, Karen represents the drive to pursue in the larger context of the story. In fact, another quality of an Archetypal Protagonist, that of being driven to weigh the pros and cons of a situation, can also be applied to her. Whether it is in front of the mirror practicing her speeches or out on the street corner debating whether or not to give the “green light” for Arthur’s systematic removal, Karen is the one character faced with the heavy decisions related to the story’s larger problem. 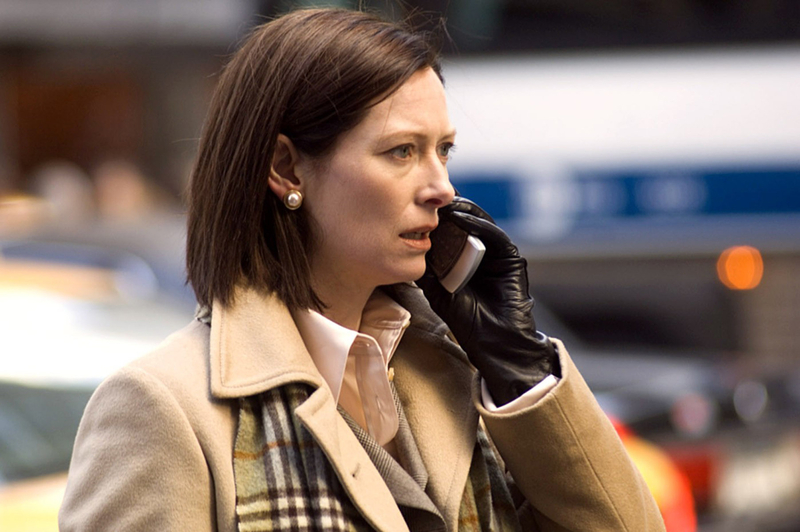 Karen’s failure is what makes Michael Clayton feel bittersweet. It is also helpful to note that the concept of the Protagonist does not exist in a vacuum; there are many different aspects of a story’s structure that are tied to it. In the same way that the Protagonist’s success or failure helps to determine the eventual outcome of a story, the kind of pressures the Protagonist faces also aids in determining the scope of a story. Knowing who the real driver of a story is can help in identifying the limits that keep a story from wandering around pointlessly. Arguments can go on forever if there aren’t limits placed on them. It is the same with stories. Some stories are limited by time, some by the number of options left open to the Protagonist. High Noon is an example of the first. Michael Clayton is an example of the second. Stories that meander often don’t have this limit clearly set for the audience. This can often happen when there is confusion over who the real Protagonist is. With Karen in place as the Protagonist, it becomes very clear what the options in the story are: There are only so many ways she can deal with a mad rogue attorney running around with damning evidence. She has to get rid of everyone who had contact with it (including the attorney himself) and destroy any proof of it before the story can come to its rightful conclusion. Once that final option has been dealt with (Michael in his car), Karen can meet with the members of the board at that convention center and tell them confidently that everything is going to be hunky-dory. This final scene would be the climax of the story—that moment in a story when the limit has been reached and the Main Character must come to a decision regarding their resolve. As the smoke from his flamed-out Mercedes recedes, Michael finally decides to call his brother for help (something he never would have done at the beginning of the story) and captures Karen’s bribe on tape—ending the story. If it were Michael or Arthur as the Protagonist it becomes less clear as to what the options would have been. They perhaps could have been to meet with the girl affected by uNorth’s products or maybe even to get the copies of the evidence out for the world to see. But these seem weak and murky, and are interpretations of what could be there rather than what is there. The limits help to solidify the story into one meaningful piece. Determining who the real Protagonist is and understanding their role in the telling of a story helps to point out to a writer where they may be problems in his or her story. A majority of popular story paradigms might call for a rewrite of Michael Clayton because Michael is not a “willful protagonist” or because his “external needs” do not conflict properly with what he really “internally wants.” This advice, while well intentioned, would only lead to murkier drafts and more disappointment. Besides, does anyone really think Michael Clayton needs to be rewritten? The story works. And the reason it works so well and seems so unique in its complexity is because, structurally, it differs from everything else out there. Predictability goes out the window as the patterns set up to establish the story are unfamiliar to those who can now download a movie to their phone in under thirty minutes. Michael Clayton’s relatively minor box-office success could be more attributed to a lack of marketing expertise in much the same way that The Iron Giant disappeared without a trace, or how it took ten years for The Shawshank Redemption to finally find its place in history. Perhaps the same fate lies in wait for this Gilroy and Clooney collaboration, for if one thing is for sure, the film calls for repeated viewings which in turn, result in even greater moments of appreciation for what was accomplished. Great well-told stories always have this effect on audiences. One of the greatest contributions to the world of storytelling comes from the Dramatica theory of story and its understanding that the concepts of Main Character and Protagonist are not one and the same. This appreciation of what is really going on in a story is one of those things that makes the theory so special. Instead of becoming a reductive mandate like so many other rules espoused by gurus and experts of story, this concept opens up so many more creative avenues—giving the writer a chance to produce things as yet unseen. As far as Michael Clayton goes the Story Outcome is a Failure and the Story Judgment is Good. Then corresponds with that “bittersweet” feeling the film has at the end. As explained above, the other bittersweet ending—the Success/Bad scenario—doesn’t quite fit in here as Michael has clearly overcome his personal issues and at the end of the cab ride has found a relative place of peace. The climax is brought about by a Story Limit of Optionlock. With Karen as the Protagonist (driven by Pursuit and Consider), Arthur becomes the Antagonist (Prevent and Reconsider), though his presence is more about trying to get others to question their actions based on new information than it is actually trying to Prevent something from happening. Michael’s place in the Objective Story Throughline becomes less of a slam-dunk which also speaks to the complexity of this film. This isn’t Avatar—the characters within are rich and unique not only in their presentation but also within their roles structurally. Yet another reason why this film becomes one of the cherished few by fans of great storytelling.